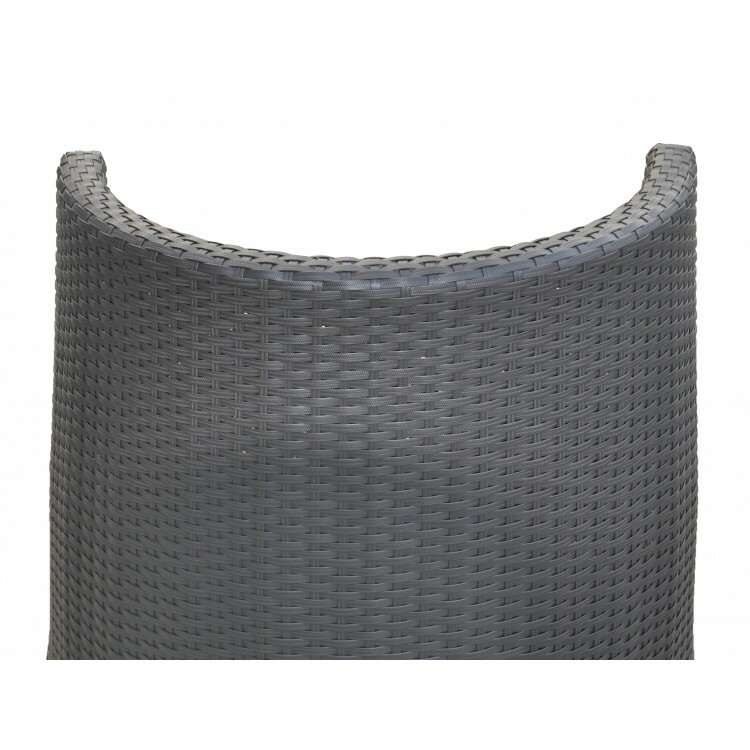 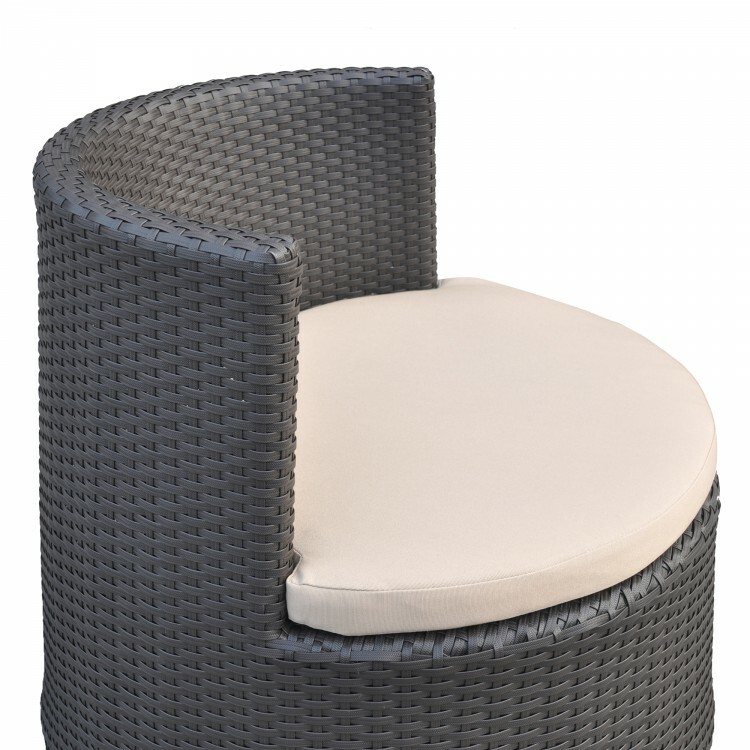 The Armen Living Kailani outdoor wicker patio chair is the perfect addition to any contemporary patio seating arrangement. 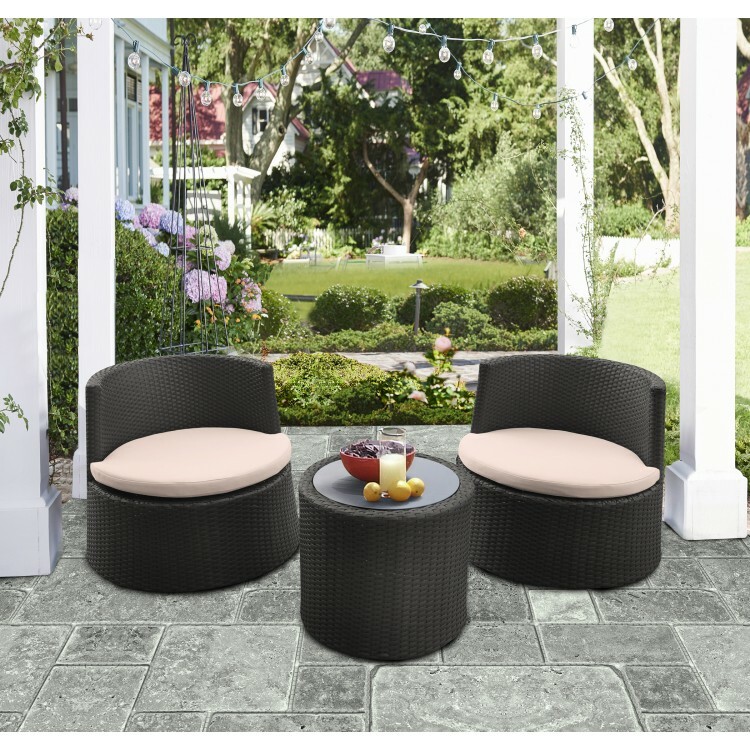 Featuring a durable aluminum frame covered by black powder coat with HDPE wicker, the Kailani provides an exceptional degree of comfort and aesthetic pleasure. 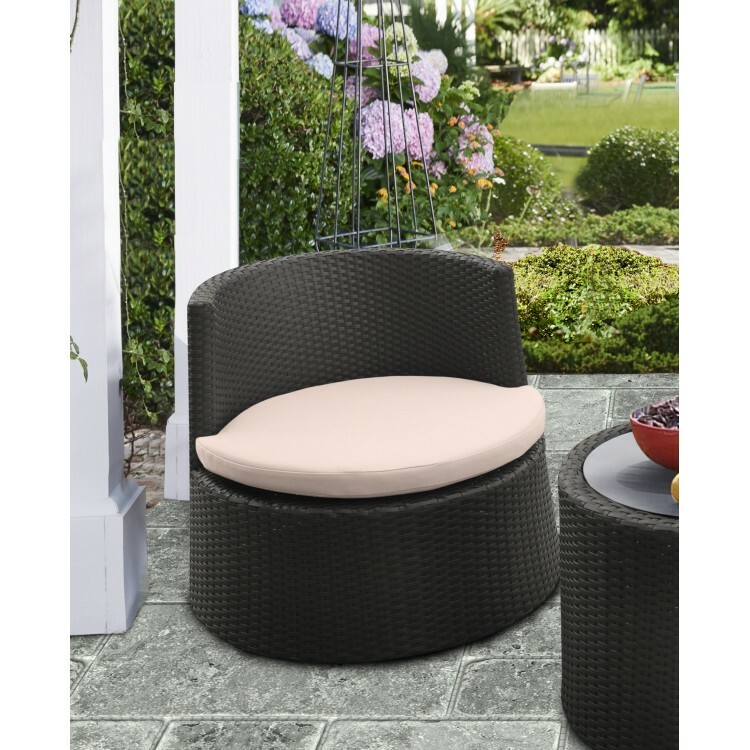 The Kailani's seat features a foam padded fabric cushion that compliments the chair's frame perfectly while leaving you relaxed and comfortable. 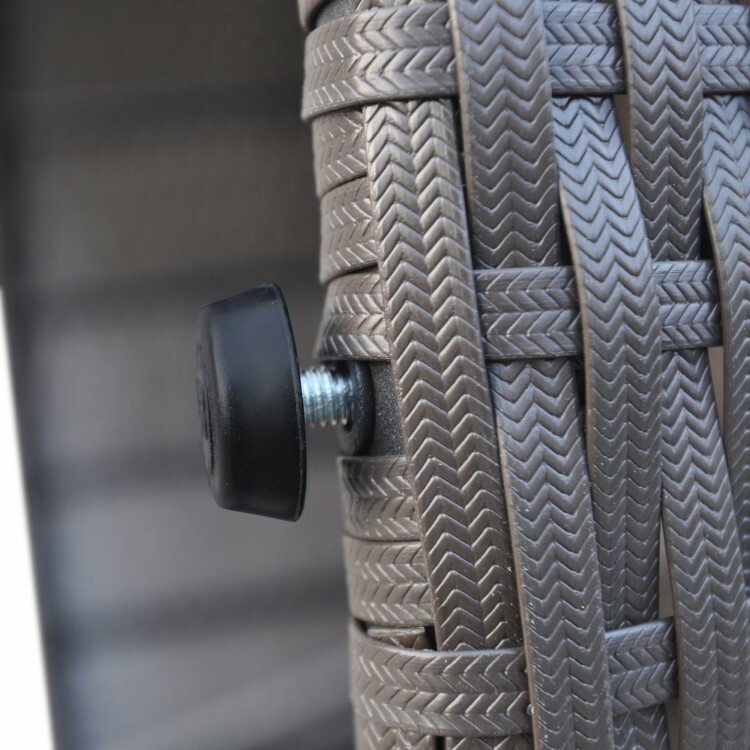 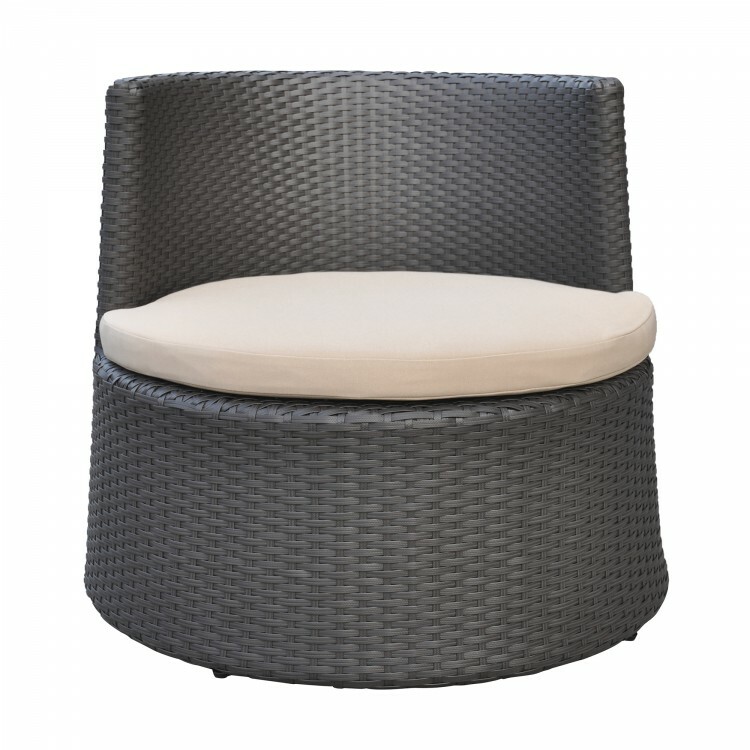 The Kailani is 100% waterproof and is available with a beige fabric cushion and a black powder coated finish. 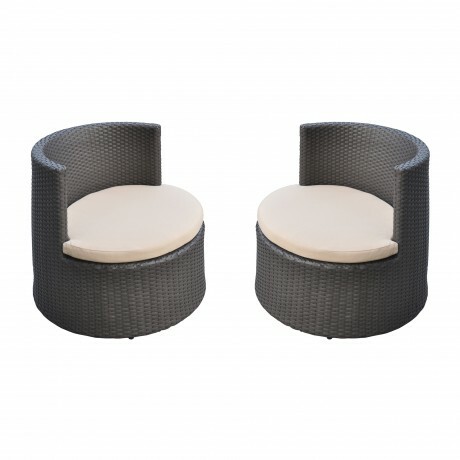 Sold in a set of two. 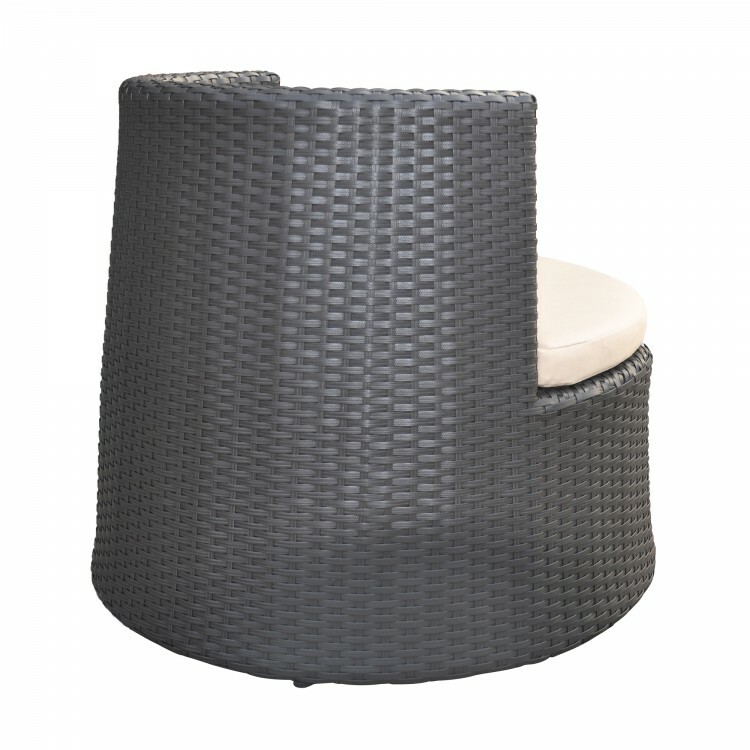 Product Dimensions: 30"W x 30"D x 26"H SH: 12"